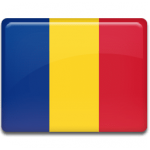 P&P Romania is present on the Romanian market since 1997, offering full HR consultancy services with focus on Executive Search for local, regional and international assignments and related services such Assessments and Talent pool development Centers. We are the only regional search firm with multiple offices in the Central and Eastern Europe countries and with locals in our team. In search we identify the potential candidates active and passive on the market and, through an extensive contact and assessment program we produce a shortlist of relevant and properly motivated candidates from among the top performers. Plus we don’t give up the assignment until you have hired the right person. We excel at the more challenging assignments. Whether clients need a rare combination of skills, or a new team to achieve a turnaround, or an individual to make a difficult relocation, we do what it takes to achieve results. Thanks to our reputation and the strength of our network, we are in a position to enable our clients to access and appoint the most talented business leaders worldwide. Placement rate (OR goal achievement how is called within the industry) = no. placements / no. Job orders (projects started) = over 97% rate of finalizing recruitment projects successfully – a batting average that places us at the top of our industry. The candidates we place have a great track record of staying with our client organizations for the long term and getting promoted. Through our Intersearch partner firms and their breadth of knowledge and expertise, we provide clients with access to exceptional candidates almost anywhere across the globe. Our added value is being able to make a local impact in response to our clients by utilizing our global network. Executive Search – Executive Search is an extremely targeted, resource-intensive process, which calls for in-depth research, many years of experience and the full competency of our consultants: Via Executive Search we ensure that our clients are able to find the right managers to secure their future success. International Search – as shareholders of InterSearch Worldwide, we have international expertise at our disposal for cross border personnel searches. Our structure allows us to search effectively for personnel in every country and enables us to offer our clients an individualized service. Engaged Search and Selection – the search for and procurement of specialists and future management executives has become increasingly challenging. As a result of our many years of experience, you can be sure to profit from our know-how as a Full-Service-Consultant. Assessment Centers, Development Centers, Management Audit, Board Dynamics Assessment – the management, essential competences, strengths, and the development potential of managers are the focal point of this process. The audit can be carried out for your entire organization, for specific management teams or for individual employees. These are the main Industry Sectors where P&P / InterSearch offers the highest degree of services due to a long and consolidated experience, besides skilled senior consultants working all around the world. Nevertheless over 20% of the global business is developed in other industries and local niche markets – showing that P&P / InterSearch is able to fulfill all the clients’ needs. as well as Business & Professional Services, Management Consulting, Media & Entertainment.